Apple pie is a classic treat in the crisp Fall weather, and the smell of a yummy pie fresh from the oven is one of the best of the season. What if you could get that delicious scent in seconds, with no oven or baking supplies required? Well good news – you can! 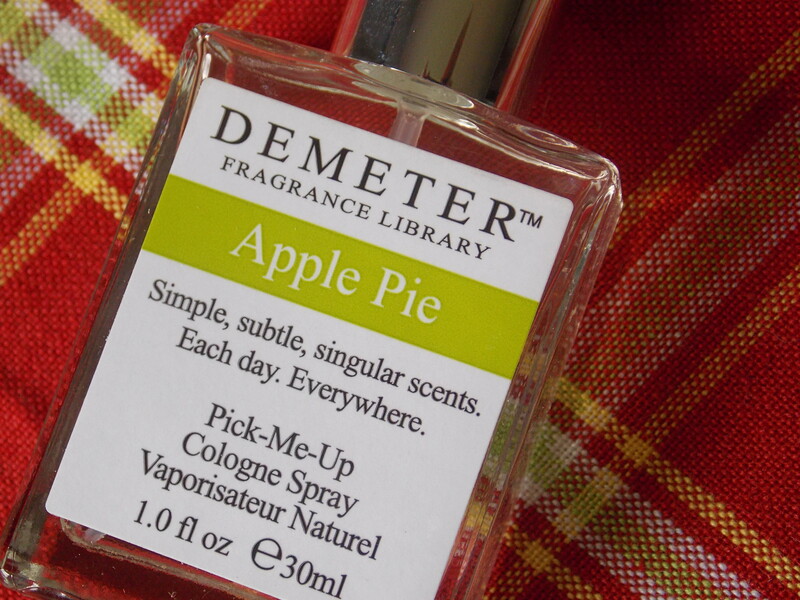 Demeter Fragrance Library is known for incredible singular scents ranging from classic to crazy, and they have the most amazing Apple Pie fragrance ever. I recently posted about some yummy summer scents from Demeter, which you can read about here, but I am now officially into Fall fragrances. Apple Pie smells like a perfect blend of pastry, fresh apples, and spices. I wasn’t sure how well this dessert would translate into a spray, but this one captures it exactly. I can smell the delicious combination of cinnamon, nutmeg, apples, and sugar, and I really can notice each ingredient on it’s own. It comes together in a warm sweet scent that isn’t too strong or overpowering. I was worried it would just smell like apples or have a hint of cinnamon, but if you closed your eyes and spritzed it you would think there was a pie in the oven. There’s nothing subtle about this scent and I am sure it will be a hit when my boyfriend smells it. It’s yummy, sugary, but not too sweet, and has the perfect hit of crisp green apple. 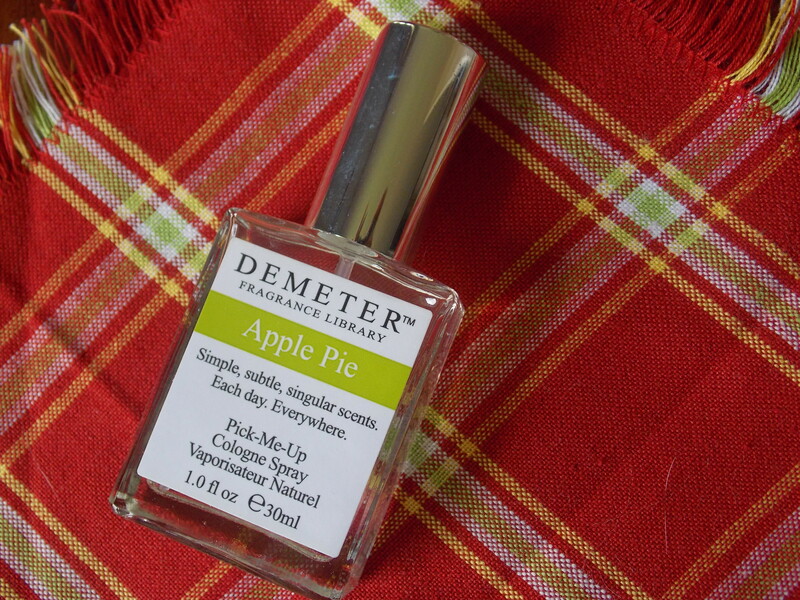 It’s hard to explain fragrances but I kid you not, the Apple Pie scent from Demeter is the most realistic and mouthwatering scent. You can read more about it or order it online here at demeterfragrance.com. I can’t stop spritzing this, it’s so good!